Abstention, not the divided left, was the main beneficiary of French voters' pessimism. Across the West, 2016 was a year of election defeats for the hegemonic liberal order — mostly to the benefit of the far right. Brexit and the Trump victory seemed to portend a collapse of the political mainstream. Yet with Geert Wilders’ failure to make a breakthrough in March’s Dutch elections and Emmanuel Macron’s resounding victory over Marine Le Pen in May’s French contest, pundits have begun to identify signs that the center is indeed holding. 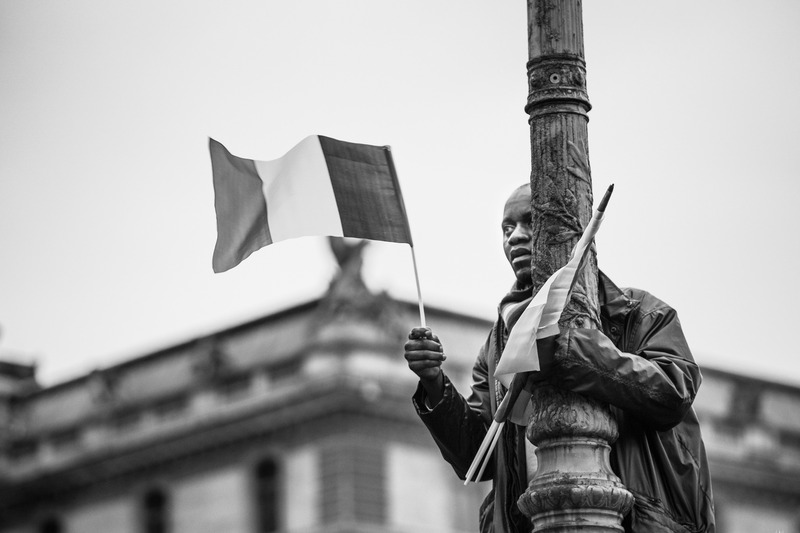 At face value, the results of the French parliamentary elections epitomize this recovery. Macron’s En Marche! vehicle and its liberal allies MoDem won 350 of the 577 seats, and his government will also enjoy the support of a breakaway group of 38 center-right MPs. Meanwhile the far-right Front National won just eight seats. This comfortable victory provides Macron and his ministers with a sizeable majority. Yet the record high abstention (reaching 57 percent in the June 18 second round, up 12 percent on 2012) combined with the fact that En Marche/MoDem together secured only 32 percent of votes in the June 11 first round, rather complicate this picture. While the electoral system produced a strong swing to this new centrist force (the second round was a first-past-the-post contest in each constituency), the low numbers voting make it hard for Macron to claim that there is mass popular enthusiasm for his proposed reforms. This is not to say that the French electorate exhibited the same rebellious mood as it did in spring’s presidential contest. At that election the France Insoumise candidate Jean-Luc Mélenchon came within just four points of Emmanuel Macron in the first round, and was just 1.7 percent off beating Marine Le Pen into the runoff. The four-million strong blank/null vote in that second round had itself shown a large section of voters not simply abstaining, but actively displaying their discontent with both Macron and his right-wing rival. In last week’s parliamentary election, the radical left’s advances were more modest. France Insoumise secured seventeen seats and the Communist Party (PCF) ten. This was an advance on the ten seats won by the Left Front in the 2012 elections, and each will form its own parliamentary group (in the PCF’s case, together with overseas left-wing MPs). There was also an important near-miss in Evry, where the FI candidate was barely a hundred votes from unseating former Socialist prime minister Manuel Valls, a figure reviled for his role in pushing through a draconian labor law. As in the presidential contest, the France Insoumise candidates were elected on a bold program, “The Future in Common.” Beyond opposition to the labor reforms proposed by Macron (seeking to make it easier for employers to hire and fire), it argued for an end to the “state of emergency” and a profound reorientation of the French economy toward a green agenda. Notable also was the background of its candidates: if it had a certain similarity with En Marche! in the sense of standing few professional politicians, the great difference was that its candidates were drawn from workplaces and community campaigns rather than the world of business or the civil service. Overall this result is on the better end of what pre-election surveys had predicted for the Left. However, it is also far from the dynamic of the presidential campaign. This was also true of the Front National, which has made no breakthrough on the back of its 33 percent score in the second round of the presidential election. While Marine Le Pen was elected as an MP, her party’s eight seats leave it far from its 1980s high of 35 deputies. As a percentage of all registered voters, its parliamentary support has stagnated at around seven to eight percent for three decades. The striking feature of the parliamentary election was the collapse of the Socialist Party — in free fall since François Hollande’s disastrous term in office. It fell from close to three hundred seats to under forty, with corresponding gains for the Emmanuel Macron fan club and its candidate list of recidivist CEOs and serial start-up creators. His MPs will not likely be doing very much given that he plans to rule through decrees. He has a parliamentary majority, but it is not as high as many projections predicted, or indeed “historic” (the majorities in 1993 and 2002 were far higher). Creating his own En Marche! campaign after leaving the previous Socialist government, Macron made much of the idea that he was combining both left and right: in other words, a coalition of the whole political mainstream. His support includes ministers from both the last Socialist government and the center-right administrations of the 1990s. Yet his explicit goal is to reorder France on the model of a “start-up,” an ecstasy of entrepreneurial vim and cutting back supposedly “restrictive” workers’ rights. Such a project may play well among the urban middle classes, yet it has little to offer either to employed workers, the abandoned banlieues, or to the “left behind” young people in provincial France with little hope of jobs. With 57 percent abstention in the second round, few could call this result a ringing endorsement of his economic program. It offered little succor to Will Hutton’s Observer column this Sunday claiming that the resurgent UK Labour Party should copy Macron’s policies. Nonetheless, the result offers cause for the French left to rethink. In both the presidential and parliamentary contests, there was senseless division among candidates with similar programs, an atmosphere of recrimination and hostility that evidently undermined its chances of cohering a solid bloc of voters. It is true that the electoral system made it harder to stack up votes than in the first round of the presidential race, yet these divisions aggravated that very problem. It is probably also true that in the presidential election the France Insoumise vote relied a lot on Mélenchon’s personal charisma and rhetorical talent, which was harder to convert into support for the parliamentary candidates. This points to a wider political problem: namely, how to translate identification for a candidate into socially-rooted organization, able to survive beyond the momentary enthusiasm of this or that electoral cycle. Even if the traditional left parties do not themselves provide that organization, the France Insoumise movement will now have to become something more than an electoral campaigning force. Nonetheless, the bases have been laid for a reinvigoration of the Left. Social democracy is not dead, but here as in the presidential race and elections around Europe, the Parti Socialiste score showed that its securitarian, anti-labor, left-wing-of-the-Right version is on the way out. A marker has also been laid down in showing that the opposition to Macron is not the property of the far right. Already in the days following the election, the resignation of several MoDem-affiliated ministers (including justice minister François Bayrou) in a scandal over the use of EU funds has suggested that Macron’s honeymoon may not last long. His labor reforms do not currently enjoy wide popularity; like his plans to normalize the state of emergency, he shied from presenting them openly in the campaign. But resistance will not come automatically. What we have for now, expressed in the abstention, is French people’s refusal to show the enthusiasm the media demand. This reticence expressed itself in a passive, or at least non-electoral way. And it is true that reaction does not necessarily trigger an equal and opposite action. But we have seen the movement against the Loi El-Khomri. We have seen an engaged minority turn to France Insoumise in the presidential race. So we can be sure such a resistance is possible. Abstention, not the divided left, was the main beneficiary of French voters’ pessimism.